Read my userpage for my modding information. (Standard/Taiko). also that Thresh was actually pretty bad. So was the Nidalee, who kept getting baited when I was almost dead and died to the rest of the team. I'm terrible with mages, lol. We also had Gregas do very minimal damage for having so many damaging items. He did very little and had a score was pretty unideal. We got aced at the end three times. One of which involved the other four people wanting to fight the other team when they had Baron-buff. 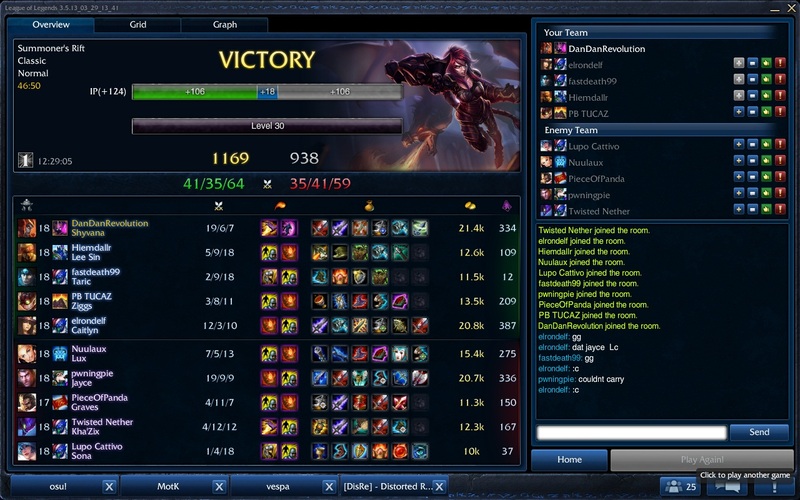 So I just faced off against a jayce who ended up with over 500 AD... Ended up able to solo him as Shyvana. He then sold his 2nd BT for a GA. The new ARAM. More or less new. >Flash over the wall like nothing happened. Dat Nasus.. I think the player didn't know what he/she was doing. is lissandra a good waifu?